New feature: FILTER! Tap and hold to X-ray the sky. 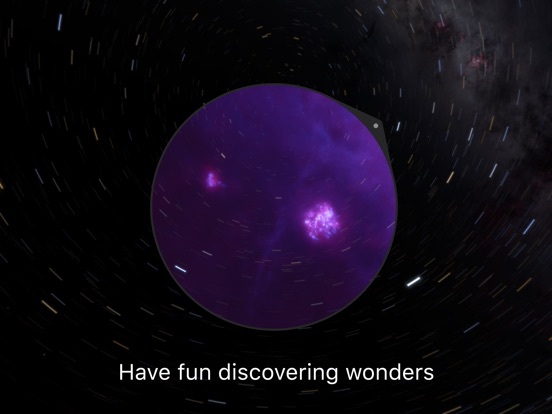 Explore invisible wonders like supernova remnants, black holes, the cosmic microwave background and more! More languages! French, Italian, Spanish, Portuguese, Russian, Japanese, Korean, Chinese (Traditional) and Chinese (Simplified). Performance Improvements: decreased loading times and 64-bit optimizations (on supported devices). 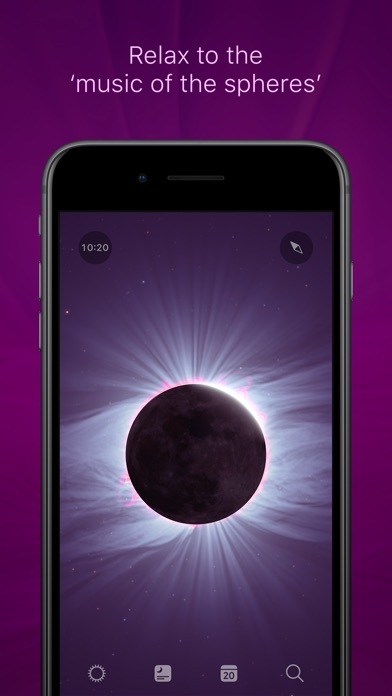 • Time-lapse has arrived! Swipe UP from the bottom edge to reveal new time controls. 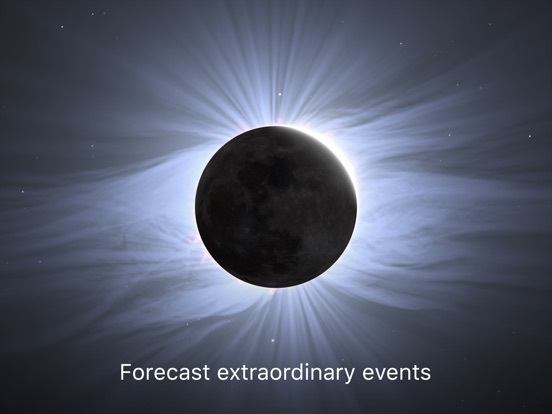 See satellites streak through the sky at 1,000X real-time. 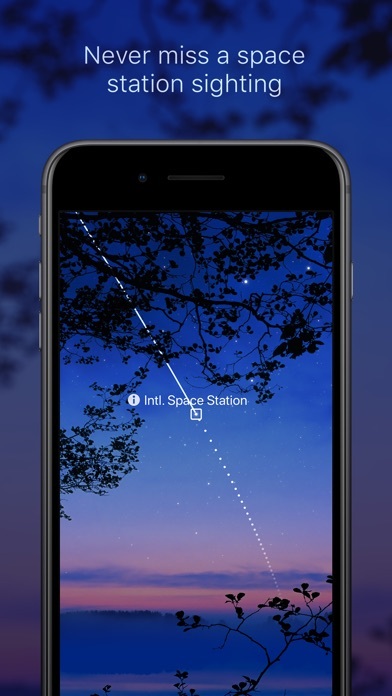 Turn it up to 30,000X to see beautiful, spinning star trails. * Go even faster to switch into day-stepping mode and you'll see the motions of the planets as they dance around the Sun. 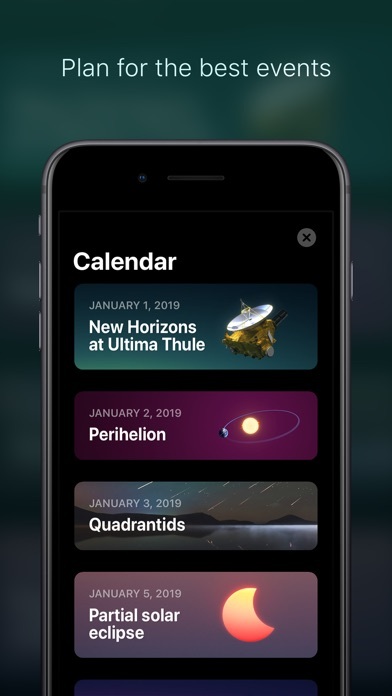 Use the date & time picker to witness past or future events. • 64 bit support. Compatible with iPhone 5s, iPad Air, and iPad Mini with Retina display. • Realistic comets. We not only gave Comet ISON some company with the likes of Comet Hale-Bopp, Halley and more, but also accurately stylized them with beautifully dynamic coma and tails. Pro tip: use the new time controls to see comets evolve as they approach the Sun, or witness magnificent comets of the past! • More deep sky goodies. 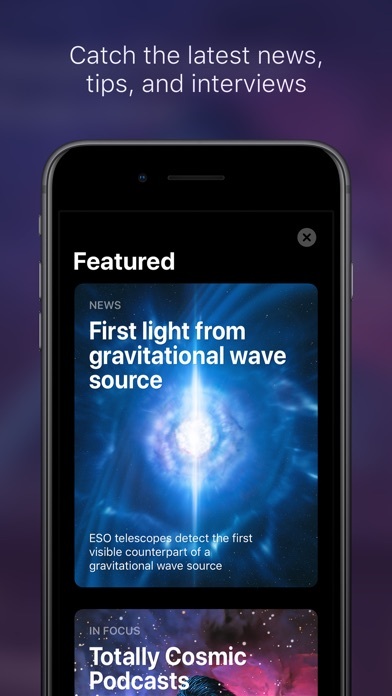 We've DOUBLED the number of photographic articles for galaxies, nebulae and star clusters. Those who keep exploring will be rewarded. • Improved Search: we made it easier to find things you might be looking for. 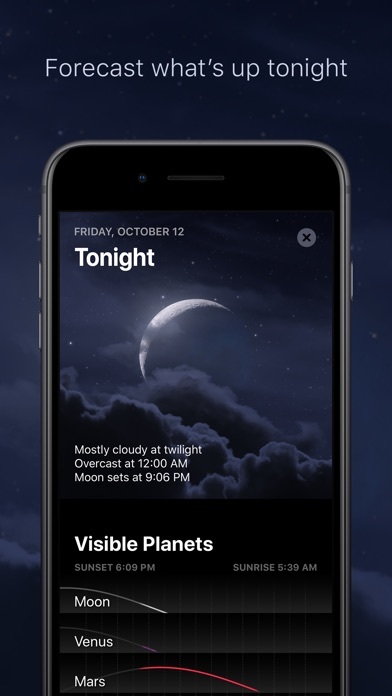 • Satellites: flyovers at night that are obscured by Earth's shadow are no longer listed in the article view. • Added a location for the North Pole (listed under Geographic Points). The sky looks different here, especially in time-lapse mode! • Comet ISON: Added a trajectory plot and detailed article for the comet that may dazzle us later this year! 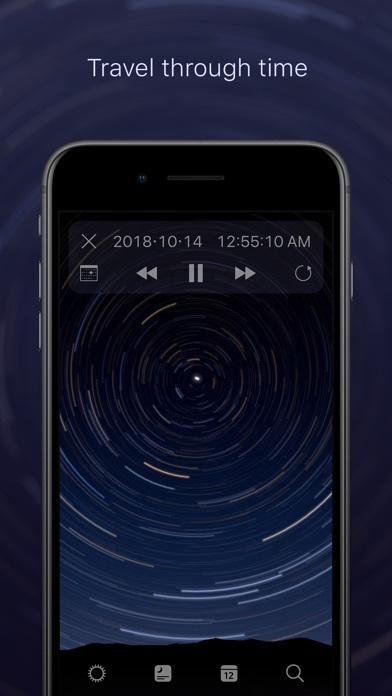 • Choose your own tunes: audio from outside the app now continues to play if you have unchecked the music setting in Sky Guide. Is that light moving across the sky the International Space Station, an old Soviet spy satellite, or a rocket stage leftover from the start of the space age? 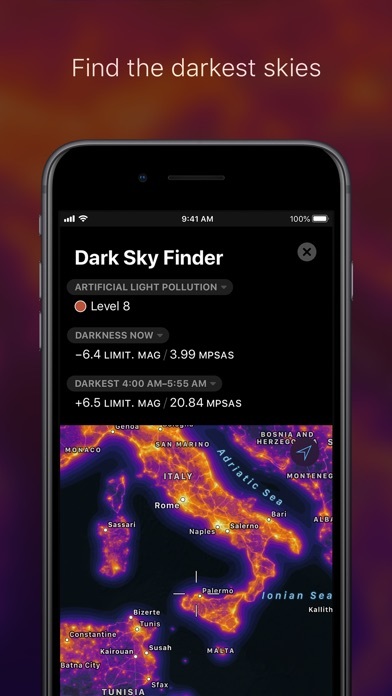 Sky Guide can now tell you which of the 150 brightest visible satellites you're seeing overhead! Each comes fully illustrated and contains historical mission details plus a list of upcoming flyovers. 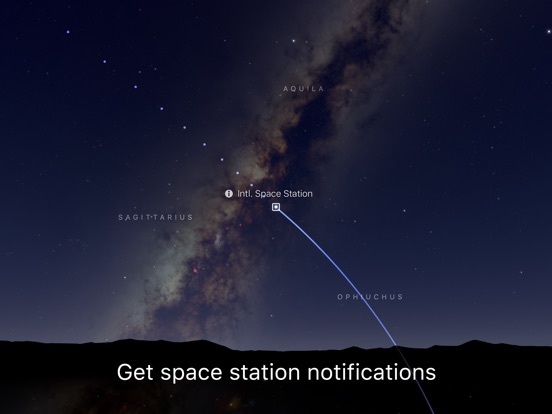 You can even chart the path of a satellite to see its current and future trajectory. 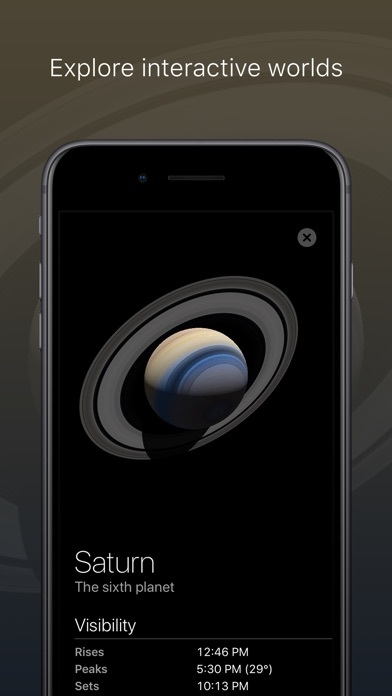 Satellites are available as an In App Purchase. We've also reduced memory usage (up to 35% less on some devices). Those with 4th generation iPod Touches should notice substantial stability improvements. 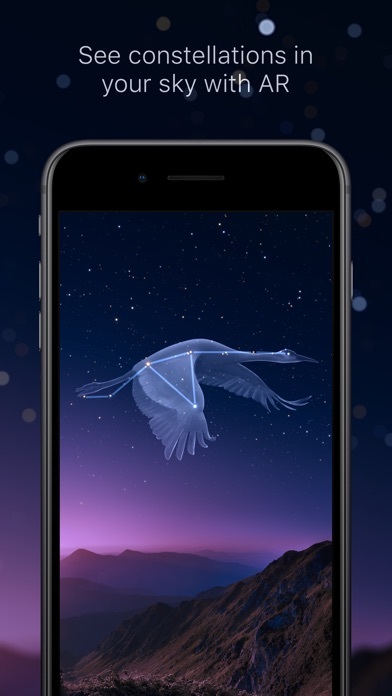 Lastly, we've added a subtle twinkling effect to stars for added realism and a new fade-to-focus animation for constellation artwork. • iPod Touch support! 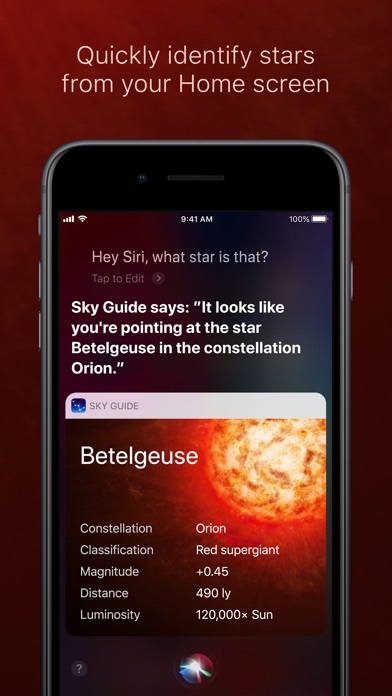 This has been our biggest request, and we're happy to have a version of Sky Guide that works on 4th and 5th generation iPod Touches. 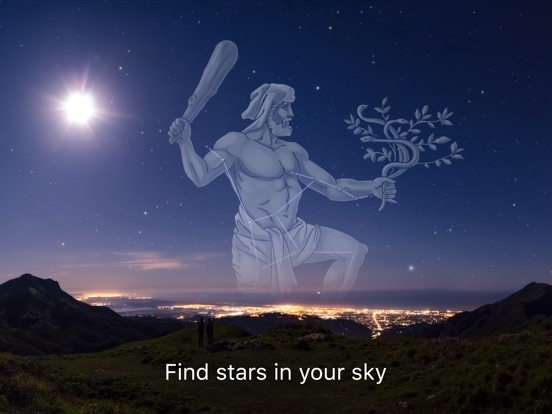 Thanks for helping us continue to improve Sky Guide! Please contact us with any questions or feedback at support@fifthstarlabs.com. They have made some updates recently that make it significantly better now including night mode which is waaaaaayyyy better on my eyes so i dont go blind at night. Woohoo! Also the gps and orientation stuff is significantly improved since i downloaded it. 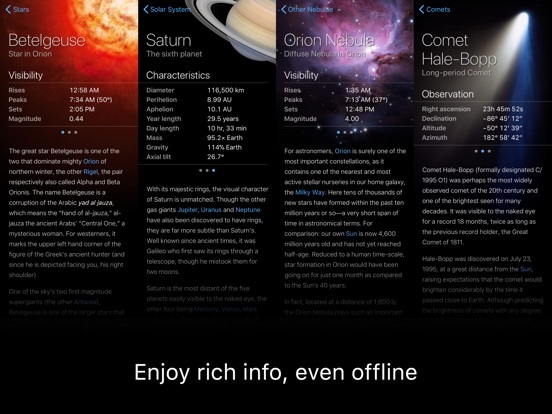 Also the satellite info is super awesome!! All in all this app has a ton of features and yet they set it up to customize what you want to see. Thank you for making this app! One of my favorite apps! This is so interesting and amazing!! !